FIGURE 13-14 Decay scheme for 22Na. Energy is in MeV. nuclide. For positron emission to be energetically possible, the Q value must be at least 1.022 MeV (refer again to footnote 25) Emax for positrons for a given transition is equal to the total transition energy minus 1.022 MeV. In the decay scheme for a positron emitter, the 1.022 MeV is indicated by the vertical section of the line for the p+ transition to the decay product, as shown for 22Na in Figure 13-14. 26EC was called K-capture in the older literature. FIGURE 13-15 Decay scheme for 40K. Energy is in MeV. radiation (x radiation with a continuous spectrum) called inner bremsstrahlung is emitted when an electron (in this case the captured electron) experiences a rapid change in speed in the vicinity of an atomic nucleus.27 The bremsstrahlen (bremsstrahlung photons) share the energy available to the monoenergetic neutrinos. Characteristic x rays of the product element are also emitted, because EC, like internal conversion, leaves a vacancy in, say, the K shell of the product atom, thereby establishing the conditions for electronic transitions that produce characteristic x rays. Auger electrons may be emitted instead of the x rays. If the product nucleus is formed in an excited state, y rays characteristic of the product nucleus or conversion electrons also will be emitted. The threshold energy for EC is the work required to detach the bound electron that is captured (i.e., the electron's binding energy). As examples, the K-electron binding energy is 8.98 keV for Cu and 88.00 keV for Pb. These are two of the many elements having radioisotopes that decay by EC. The decay scheme for 40K (Figure 13-15), a primordial radionuclide of environmental importance, illustrates branched decay with particle emission and EC plus y emission. EC often accompanies p+ emission. 27Section 13.7.1.3 contains a discussion of bremsstrahlung. FIGURE 13-16 Decay scheme for 238U. Energy is in MeV. Thus, AZ = —2, A N = —2, and A A = —4. Gamma rays are usually emitted also, as shown in the relatively simple decay scheme for a-emitting 238U in Figure 13-16. It is assumed that assemblies of nucleons containing two protons and two neutrons exist in nuclei and are emitted as a particles when reaction (13-37) is exoergic. Because of barrier penetration, the energies of a particles emitted in radioactive decay are generally much lower than would be expected on the basis of the classical Coulomb barrier. Thus, for 232Th (ij/2 = 1.40 x 1010y) the barrier height [equation (13-10)] is 47 MeV, but the energy of the a particle is 4.01 MeV. The long half-life of 232Th indicates that the probability of barrier penetration at the observed energy is very low. If 7 rays are emitted, the total disintegration energy is equal to the energy of each a transition plus the energy of the associated 7 rays or conversion electrons plus the recoil energy of the product atom. The recoil energy Erecoil is relatively high for a particles. It is given approximately by Erecoil = MaEa/Mprod. For example, the recoil energy given to a 206Pb atom formed when the nucleus of an atom of 210Po (138.38d) emits a 5.3044-MeV a particle is 0.10 MeV (9.6 x 106kj/mol). 28Nuclear fission (discussed in Section 13.6.3) is normally induced by the nuclear reaction in which a fissionable nucleus (e.g., 235U) captures a neutron to form a nucleus that typically splits into two different, smaller nuclei plus a few neutrons. which decays by a emission (96.9%) and by SF (3.1%) with the release of an average of 3.76 neutrons per fission. Neutrons, called delayed neutrons, are emitted by a few of the short-lived radioactive products formed by nuclear fission. These neutrons are emitted immediately after the emitting nuclide is formed in an excited nuclear energy state by a short-lived, -emitting precursor. In addition to the environmentally significant modes of radioactive decay already examined, there are rare modes such as double p (2p_); double a; delayed proton, and double-proton emission; and emission of nuclei such as 3H, 14C, and 24Ne. These do not warrant further consideration here. Particle accelerators provide the kinetic energy needed for charged particles such as protons (1H+ or p), deuterons (2H+ or d), helium ions (4He2+ or a) and heavier ions to react with nuclei of target atoms. The rate of reaction (Section 13.4.2) is proportional to the accelerator beam current (particles/s). As discussed in Section 13.3, charged incoming particles require energy to overcome the repulsion energy of the Coulomb potential barrier around a nucleus for both endoergic and exoergic reactions. The probability of barrier penetration increases and, therefore, the rate of reaction increases with increasing kinetic energy of the particle. However, when the particle energy is increased to achieve an increase in the rate of production of a particular product, other reactions with the target nuclei may become energetically feasible and contaminate the desired product. A long-lived, a-emitting source combined with spectrometers in a portable, remotely controlled device can be used for chemical analysis by means of the characteristic energies of protons emitted by nuclei of the sample when the (a,p) reaction occurs and the energy of the x rays emitted after the a particles ionize the atoms of the sample. Nuclear fusion is a thermonuclear reaction in which both reacting nuclei are given sufficient kinetic energy to penetrate the Coulomb repulsion barrier, thus allowing the nuclei to fuse. It has long been known that certain exoergic reactions can occur when a nucleus of deuterium combines with or fuses with another nucleus of deuterium or with one of tritium. D-D or (d-d) (deuteron-deuteron) reactions (13-39) and (13-40) are about equally probable; reaction (13-41) has a very low probability. The mean kinetic energy required by the reactants depends on the specific reaction. For example, the D-T or (d-t) (deuteron-triton) reaction (13-38) requires about 15 keV (corresponding to a temperature of about 1.5 x 108 K), which is about one-tenth of that required for the D-D reactions. At these kinetic energies the electrons are stripped from the atoms to form a plasma, that is, a mixture of electrons and positive ions in which the fusion reaction takes place. Electrons that have been given energy (typically at least 10 MeV) in an electron accelerator can become an intense source of high-energy photons (bremsstrahl-ung).29 These photons can be used for photonuclear reactions such as (y,n), (y,2n), and (y,p). High-energy y rays emitted by radionuclides will undergo photonuclear reactions when absorbed by the nuclei of elements with very low atomic number (Section 13.6.4). 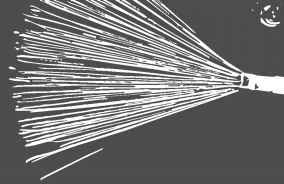 29Electrons accelerated in a linear electron accelerator (LINAC) emit bremsstrahlung when they are stopped in a water-cooled metallic target. See Section 13.7.3 for a discussion of fast and slow neutrons. where Z is between 28 and 68 and x is the number of prompt neutrons i.e., neutrons emitted during the fission event). Fission is the more likely reaction by a factor of 5.91. Equation (13-43) represents the overall nuclear fission reaction.32 Prompt neutrons are fast neutrons having a continuous energy spectrum with an upper limit of about 3 MeV with an average of about 2 MeV. When averaged over a large number of fissions, the number of prompt neutrons released per thermal fission of 235U is 2.46. Because more than one prompt neutron is released per neutron absorbed by 235U, it is possible to establish the self-sustaining, fission chain reaction that takes place in a nuclear reactor. and so on.33 This is the basis for the production of 239Pu for nuclear weapons and for a type of nuclear reactor fuel that contains 239Pu. 31Certain aspects of the fission process can be understood in terms of the liquid drop model of the nucleus. In this model, the binding of nucleons in an atomic nucleus and the surface properties of a nucleus are considered to be analogous to those of a drop of liquid composed of molecules. In less than 1% of the fission events a very light fragment such as 3H or 4He also may be emitted. The trace amounts of 239Pu that have been found in uranium ores are produced mostly by reaction (13-44) with neutrons that are released by both 235U and 238U when they undergo spontaneous fission (with very low probability). A number of heavy nuclides including 232Th and 238U are fissionable with fast neutrons. These two are also classified as fertile because they can be used to produce the fissile nuclides 233U and 239Pu, respectively, when they capture thermal neutrons. After the highly unstable and very short-lived nuclei of the fission fragments have emitted negatrons and 7 says, they become primary fission products, most of which are radioactive with measurable half-lives and characterizable radiation. They decay into secondary fission products by negatron emission because of the high neutron-to-proton ratio that they inherit from 235U. Some of the fragments are long-lived and some are stable, and thus the observable fission products may be fragments or decay products. Commonly, an unstable fission product will decay into an unstable daughter, which in turn may decay into another radionuclide, and so on, as illustrated in reaction (13-21). Decay chains (increasing Z at constant A) are terminated with the formation of stable nuclides that are in the band of stable nuclides in Figure 13-1. Fission products with half-lives between a small fraction of a second and 1015 years are distributed among 97 chains, which have, on the average, three members. Fission of 235U with thermal neutrons can produce over 525 known radioactive fission products having mass numbers in the range 72 to 167. The large number of fission products reflects the relative rareness of symmetrical fission into two fragments of equal mass number when fission is induced by thermal neutrons. This gives rise to the double-peaked fission yield curve shown in Figure 13-17.34 It is most likely that the mass numbers of the fission products will be in the range of 90 to 100 for the light fission product and 133 to 143 for the heavy fission product.35 The fission yield for a given mass number is the total (maximum) yield for the chain of that mass number. It is the percent of fissions in which a fission product chain with a given mass number is formed. Individual fission products may be formed directly and, therefore, contribute to the cumulative yield along the chain. The total yield is 200%, since two fission product nuclei are produced by fission of one 235U nucleus. 34Fission of 235U becomes a more symmetrical process (single peak at the center of the yield curve) as the energy of the incident neutrons is increased. The yield curve for the fission of 239Pu induced by thermal neutrons is similar to that for 235U with the low-mass peak shifted toward slightly higher A values. 35At the time of fission, the atomic numbers of the two fragments must add up to 92, and when they become fission products, their mass numbers must add up to 236 minus the total number of prompt neutrons released. FIGURE 13-17 Yields for fission product chains for the fission of 235U with thermal neutrons. fission products (e.g., 87Kr).36 Delayed neutrons are important in the control of nuclear reactors (Chapter 14, Section 14.7.5). Fission products that are of particular environmental concern have half-lives that are longer than a few hours (e.g., days to many years), relatively high fission yields, and chemical properties that enable them to readily enter the food chain and to become concentrated or localized in an organ or organs of the human body. 36The emission of delayed neutrons is consistent with the shell model of the atomic nucleus. When 87Kr is formed by decay of 87Br (55.9 s), the 51st neutron is outside a closed shell of 50 neutrons and is relatively weakly bound (see footnote 2, Section 13.2). particles from fission products, 3.4%; and electron antineutrinos from the fission products, 4.9%. Electron antineutrinos, like electron neutrinos, have almost zero probability of reacting with nuclei in the surroundings; hence, their energy is not available. However, fission neutrons that do not induce additional fission reactions in a nuclear reactor will be captured by nuclei of nonfissile structural materials, coolant, fission products, fertile material, and so on in the reactor core. The energy released in these exoergic (n, y) reactions will compensate approximately for the energy removed by the antineutrinos, and thus 200 MeV is a good estimate37 of Q for the fission of 235U with thermal neutrons. By comparison, Q for the thermal fission of 239Pu is about 3% higher and that for 233U is about 1% lower. Neutrons exist firmly bound in nuclei and are not normally present as free particles in significant amounts in the environment.38 A neutron that is not bound in a nucleus is radioactive, with a half-life of 10.25 minutes. It emits a p-particle (Emax = 0.782 MeV) and decays into a proton. The decay of a neutron is not readily observed, except in a vacuum. Free neutrons can be produced using particle or electron accelerators, and nuclear reactions in which they are one of the products. Examples are the (p, n), (d, n), (4He2+, n), and (y, n) reactions. A particularly useful reaction is the D-T reaction, 2H(t, n)4He, already identified as a potentially important nuclear fusion reaction [equation (13-38)]. This reaction is used to provide an accelerator source of 14-MeV neutrons by irradiating a target containing a metal hydride (3H) with deuterons having an energy above about 100 keV. 38Neutrons are released into the environment by cosmic rays. See Chapter 14, Section 14.2. 39D20 is heavy water, deuterium oxide, 2H20. An incident charged particle (e=, P=,e+, p+, a2+) transfers energy to the atoms or molecules of any absorbing medium by direct Coulomb interaction with the electrons in the atoms or molecules. If sufficient energy is transferred to an atom or molecule, ionization will occur; that is, a primary ion pair will be formed. An ion pair normally consists of an electron and a singly charged positive ion.40 In air, ionization produces mainly ion pairs of oxygen (O+ + e=) and nitrogen (N+ + e=) plus ion pairs of the minor constituents. Ionizing radiation can also raise the electronic energy of atoms and molecules from the ground state to excited states.41 Atoms or molecules in excited electronic states also may be produced when the positive ion of the ion pair captures an electron to become a neutral atom or molecule. When an ion pair is formed, the electron may receive sufficient kinetic energy (up to several hundred electron-volts) to produce additional (secondary) ion pairs. After losing almost all its kinetic energy, the electron of an ion pair becomes a member of the population of normal electrons of the constituent atoms of the absorber. Eventually, the absorbed energy is degraded to translational (thermal) energy. The quantity w, the average value for the energy lost by the ionizing radiation in producing an ion pair, can be calculated from the energy of the radiation and the measured number of ion pairs formed. In air, w is 3.27 x 103 kJ/mol (34 eV per ion pair).42 For comparison, the energy required to ionize N2 and O2 to form N+ and O+ is 1.49 x 103 kJ/mol (15.5 eV/ molecule) and 1.21 x 103 kJ/mol (12.5 eV/molecule), respectively. Most of the extra energy lost by the incident radiation is given to the electron of the primary ion pair as kinetic energy. The remainder of the energy transferred from the radiation may result in an increase of the internal energy and/or the kinetic energy (added collisional recoil energy) of the atoms, molecules, or even the positive ions in the absorbing medium. 40Formation of a doubly charged positive ion is also possible. 41Electronically excited molecules and atoms of oxygen and nitrogen are discussed in Appendix A and Chapter 5. 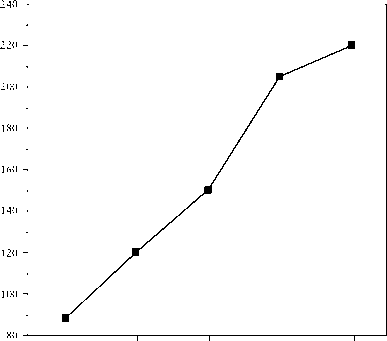 42Values of w in the literature range from 32.5 to 35 eV. trail of a jet aircraft is formed. Ionization tracks also can be observed in a bubble chamber containing a superheated liquid (e.g., hydrogen), in which gas bubbles form around the ion pairs, in the emulsion of a photographic plate or film, and in clear plastic (e.g., Lexan) that has been etched chemically after exposure to ionizing radiation. The depth (maximum thickness) to which charged particulate ionizing radiation (a, , p+, e—,e+) will penetrate into an absorbing medium depends on the type and energy of the radiation and on the elemental composition and electron density of the absorber.43 The obvious way of expressing the thickness of a piece of absorbing material is in terms of its linear (dimensional) thickness: meters, centimeters, millimeters, micrometers, and so on. It is often advantageous, however, to express absorber thickness as mass thickness (also called density thickness, thickness density, and areal density). Mass thickness is linear thickness x mass density of the absorbing material. The advantage of mass thickness is that for a given type of ionizing radiation, different materials having the same mass thickness and about the same Z are approximately equal in effectiveness as absorbers. Thus, absorption data that are obtained for one absorbing material can be used for other absorbers. The track of an a particle in air is a straight line because the particle is 7 x 103 times heavier than an electron and is not deflected by interaction with an electron during the formation of an ion pair. 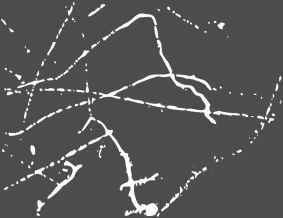 Occasionally, however, an a particle will change direction abruptly when it is scattered by a nucleus as shown in Figure 13-18, which is a photograph of tracks of a particles in a cloud chamber. The rarity of a scattering event is consistent with the fact that atomic nuclei occupy a very small fraction of space. 43Electron density (atomic electrons per cubic centimeter) is proportional to the mass density and to Z/A, which decreases slowly (as Z increases) from O.5 for light elements to 0.4 for Bi (Z = 83). 44The probability of an ionizing interaction increases as the a particle (or any charged particle) moves more slowly through an absorbing medium. FIGURE 13-18 Cloud chamber photograph of tracks of a particles emitted by an a-emitting sample located at the right of the tracks. From I, Asimov and T. Dobzhansky, T^e Gewefic E//écis o/ Radi'afiOK, U.S. Atomic Energy Commission, Division of Technical Information, Oak Ridge, TN, 1966.
and short, nonlinear tracks caused by the secondary electrons branching from the main track. These short tracks are called delta rays. About two-thirds of the ionization produced by an a particle is secondary ionization. In general, a particles emitted by radionuclides have energies between 4 and 11 MeV, with most between 5 and 9 MeV. Values for the linear range in air of a particles with energy between 2 and 11 MeV are given in Table 13-3. As an illustration of the penetration of a particles and the use of the two units of absorber thickness, a 5.0-MeV a particle has the following linear ranges: 35,000 ^m in air, 20 ^m in aluminum, and 35 ^m in water or tissue. The corresponding mass thicknesses are 4.5mg/cm~2 in air, 5.5mg/cm~2 in aluminum, and 3.5mg/cm~2 in water or tissue. A piece of 20-lb copy paper typically has a linear thickness of 100 ^m and a density thickness of 7.4mg/cm2. It will stop 6.0-MeV a particles. aMean range takes into account straggling of a particles. That is, the track lengths for a particles with a given energy show a small random scattering about a mean value. Values are for dry air at 15°C and 1.013 x 105 Pa (1 atm). beginning of the track of a 1-MeV electron to about 1000 ion pairs per millimeter near the end of the track. Second, the track of an energetic electron changes direction many times because an electron is easily scattered by interaction with atomic and molecular electrons. Third, consistent with the lower specific ionization, the total track length per MeV of particle energy is greater for electrons than for a particles in a given absorber. The negatron tracks shown in the cloud chamber photograph in Figure 13-19 illustrate how easily an electron is scattered and how the specific ionization increases along the track and eventually approaches that of an a particle. The photograph does not show how an electron loses energy along its track also by transferral of an amount less than that needed to cause ionization of absorber atoms and molecules but sufficient to cause electronic excitation. FIGURE 13-19 Cloudchamberphotographoftracksofnegatronsemittedby a p~-emittingsample located at the left of the tracks. From I. Asimov andT. Dobzhansky, The Genetic Effects of Radiation, U.S. Atomic Energy Commission, Division of Technical Information, Oak Ridge, TN, 1966. 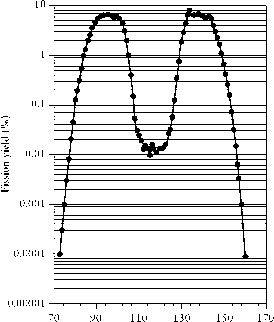 FIGURE 13-20 X-ray spectra for tungsten target. Redrawn from E. F. Gloyna and J O. Ledbetter, Principles of Radiological Health by courtesy of Marcel Dekker, Inc., New York. Copyright © 1969.
bremsstrahlung, the quantity increases with increasing energy of the electrons, and the increase is in the high-energy region of the spectrum. When negatrons and positrons emitted by a radioactive source are stopped in an absorber, they emit bremsstrahlung having a spectrum peaked at a relatively lower energy than that produced by monoenergetic electrons in an x-ray tube because of the continuous spectrum of p particles. The ratio of the energy lost in bremsstrahlung production to the energy lost by ionization is given approximately by 1.25 x 10—3 EZ, where E is Emax and Z is the atomic number of the absorbing material. Thus, the relative importance of bremsstrahlung production increases with the increasing energy of the electrons and with increasing atomic number of the absorber. The energy range of the continuous bremsstrahlung spectrum is from zero up to Emax. As x rays, bremsstrahlen interact with matter in the manner described shortly (Section 13.7.2). Although only a small fraction of the p-particle energy is lost in an absorber (e.g., a container) by bremsstrahlung production, the intensity of this penetrating radiation emitted by the absorber can be important for high-activity sources. As an example, a source of 90Sr —90 Y enclosed in aluminum would emit one bremsstrahlen photon for about 15 p— particles. Positrons (p+or e+) differ from negatrons (p—) or electrons (e—) as they approach thermal energy in the slowing-down process. At the end of the track, they may exist briefly as "positronium" (e+e—) before the two electrons are annihilated and are replaced by annihilation photons. Usually, the energy of the two annihilated electrons appears as two 0.511-MeV photons that are emitted at an angle of 180° to each other, but a single photon of 1.022 MeV may be emitted. Thus, an absorber of positrons is also a radiator of the 0.511-MeV annihilation photons that cause ionization by processes described in the next section. Negatrons and positrons have finite ranges. They will travel up to several meters in air and several millimeters in tissue, as a function of the p-particle energy, Emax. Because of scattering, however, the track length of a negatron or positron in an absorber is longer than the depth of penetration. The range in an absorber is the finite thickness of absorbing material required to absorb (stop) the particles with the highest energy (Emax). ^Absorber X is any absorber with low atomic number such as those in this table. foAir density = 1.185mg/cm3 (1.185kg/m3) for dry air at 15°C, 1.013 x 105 Pa. cWater (or soft tissue) density = 1.00 g/cm3(1.00 Mg/m^. Aluminum density = 2.70 g/cm3 (2.70 Mg/m3). As an approximation based on equation (13-46), the range of p particles in an aluminum absorber expressed as grams per square centimeter is numerically equal to about 1/2Emax for p particles with energy above 0.8 MeV. Although negatrons and positrons emitted by radionuclides are usually completely absorbed within a thickness of a few millimeters to a centimeter of a substance like glass, not all their energy remains in the absorber. As pointed out earlier, the absorber can become a source of high-energy photons that are more penetrating than the incident radiation. 45The equations were developed for the determination of Emax for p particles by measurement of their range in aluminum by using a graded series of aluminum foils differing in thickness. As photons, x rays and y rays do not ionize atoms and molecules of an absorber by Coulomb interaction, but they do cause ionization indirectly. High-energy x rays and y rays interact with matter in four ways: photoelectric absorption, Compton scattering, pair production, and photonuclear reaction. Only the first three of these modes are environmentally important. In each case the incident photon produces ion pairs within the absorbing medium, if it interacts at all. When ion pairs are formed, the electrons of the ion pairs cause further ionization as described for the interaction of charged particles. In the photoelectric effect, the primary photon disappears in a single absorption event in which the photon transfers all its energy to a bound electron in an inner shell of an absorber atom. That electron, a photoelectron, is ejected from the atom with an energy equal to the energy of the absorbed photon minus the binding energy of the electron. A photoelectron may escape from the absorber intact, or it may transfer some or all of its energy to the absorber by causing ionization and electronic excitation of the absorber atoms. Because the residual positive ion has lost an inner electron rather than a weakly bound outer electron, it is in an excited electronic state of the type that leads to the emission of characteristic x rays of the absorber. These x rays may be absorbed by the photoelectric process or they may escape from the absorber. Auger electrons may be emitted instead of the x rays, as described in Section 13.5.1. 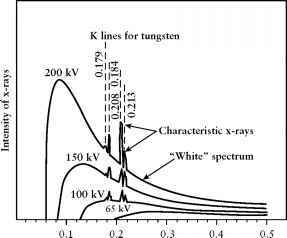 Photoelectric absorption is relatively important for y rays or x rays with energy less than about 100 keV. Its probability increases with the fifth power of the atomic number of the absorber and decreases with the 7/2 power of the photon energy. Monoenergetic electrons that are emitted instead of y rays when internal conversion (IT) occurs, and the monoenergetic Auger electrons that are emitted instead of characteristic x rays are essentially equivalent to electrons produced by photoelectric absorption. The difference is that photons are not involved in IC or Auger electron emission. When the Compton process occurs, a portion of the energy of a primary (incident) photon is transferred to an electron (not a firmly bound one) during a scattering interaction. After the scattering event, the scattered photon has less energy relative to the primary photon by an amount equal to the energy transferred as kinetic energy to the Compton electron. The distribution of energy between the scattered photon and the Compton electron can be calculated as a function of the scattering angle taken relative to the direction of the primary photon. A Compton-scattered photon may escape from the absorber or it may undergo additional Compton scattering until its energy is low enough for photoelectric absorption to become the dominant interaction. The probability that Compton scattering will occur is proportional to Z of the absorber and inversely proportional to the photon energy. Compton scattering predominates for photon energies of about 1 MeV. Pair production is a y-ray interaction in which the primary photon disappears as it transfers all its energy to the absorbing medium in a single event that occurs in the vicinity of the nucleus of an atom of the absorber. The y ray is replaced by a pair (e+ + e=). For this process to be energetically possible, the primary photon must have at least the minimum energy needed to create the pair, that is 1.022 MeV (2me). Any excess over this threshold energy becomes kinetic energy shared by the e= and the e+. Eventually, the positron is annihilated as described in Section 13.7.1.3 to produce two 0.511-MeV photons that may escape from the absorber or may undergo Compton scattering, and finally photoelectric absorption within the absorber. If both members of the pair and the annihilation photons do not escape from the absorber, the energy available to produce ionization within the absorber is Ey = 1.022 MeV. Pair production becomes an increasingly important mode of interaction with increasing Ey above 1.022 MeV. 46A collimated beam of photons can be obtained by limiting the photons from a source that are incident upon the absorber to those that pass through a small hole in a shield. Photons that pass through the absorber and reach the detector that is on the other side of the absorber, but not close to it, are also limited to those that pass through a second collimator. This arrangement is known as "good" geometry as opposed to the normal (broad-beam) "bad" geometry in which there are no collimators and the detector is close to the far side of the absorber (shield). where p,at is the attenuation coefficient.47 The fraction of incident photons that is removed from a collimated beam by passage through an absorber of thickness x is 1 — exp(—p,atx), which is approximately equal to p,atx when it is small.48 The attenuation coefficient is the probability of an attenuating interaction per unit path length in the absorbing medium. Both the linear attenuation coefficient ^atL, in reciprocal meters or centimeters, and the mass attenuation coefficient ^at/p (where p is the mass density of the absorber), in square meters per kilogram or square centimeters per gram, are used in attenuation calculations. The corresponding linear and mass thicknesses are in meters or centimeters and in kilograms per square meter or grams per square centimeters, respectively. Values of ^at/p (cm2/g) for air, water, bone, and lead are given for selected photon energies in Table 13-5. just as half-life is used instead of X in radioactive decay calculations, half-thickness [(*i/2)at= 0.693/^at] or half-value layer (HVL) is sometimes used in attenuation calculations. Although equation (13-49) is the basis for calculating the thickness of shielding (e.g., lead or concrete) required to reduce the intensity of x rays or 7 rays from a source by some specified amount, the validity of the result depends on how the values of p,at were determined. Published values are usually those obtained with a good-geometry arrangement and, therefore, I is for primary photons only. Shielding is normally used in broad-beam geometry (poor or bad geometry) with no collimation, so that all photons escaping from the shield are important. Thus, the total intensity of photons leaving the outer surface of the shield includes not only some of the primary photons but also secondary photons (i.e., x rays, Compton-scattered photons, and annihilation photons). Consequently, if p,at values measured with good geometry are used in equation (13-49), the effectiveness of a shielding material is over-evaluated and the required thickness is underevaluated. 47Equation (13-49) is analogous to the Beer-Lambert law of photochemistry [Chapter 4, Section 4.2.2, equation (4.9)]. 48The approximation is within less than 3% error for |j,atx = 0.05. 49The photoelectric attenuation coefficient ^photo decreases with increasing photon energy, but it can increase sharply by an order of magnitude or so at well-defined energies, called edges, that are characteristic of the absorbing material. The edge effect is important for photons having energy in the energy range of characteristic x rays. Source: Radi'o/ogi'ca/ Hea/ffc Hawdfeooè, U.S. Department of Health, Education and Welfare. Superintendent of Documents, U.S. Government Printing Office, Washington, DC, 1970. Since B is the ratio of the total number of primary plus secondary photons to the number of primary photons at a given position in the absorber, it is a number greater than one. 50Relaxation length is the thickness of absorber required to reduce the photon intensity by e_1. thickness that a photon will deposit energy in the absorber. A second, smaller coefficient, the energy absorption coefficient, ,en=abs, takes into account the fact that not all the energy lost by photons during interactions within an absorber remains in the absorber.51 For example, ,Comp is divided into two coefficients, one for scattering and one for energy deposition by the Compton electron, and ,pair is corrected for 1.022 MeV of photon energy that is converted to the electron rest masses, me= and me+. Values for (,en=abs/p) in cm2/g are listed in Table 13-5 for air, water, and bone. Neutrons produce ion pairs in several ways. If fast neutrons have sufficient energy, they can produce ionizing charged particles by nuclear reactions such as (n, p) and (n, a). They can also produce ions by transferring sufficient kinetic (recoil) energy to atoms in a crystal lattice to detach and even ionize them. In liquid water (or in biological tissue), collisions of fast neutrons with H atoms can transfer sufficient energy to break hydrogen-oxygen bonds and cause the H atoms to lose their electrons and become proton-electron ion pairs. Finally, in the absence of fissile nuclei, the thermal neutrons will most likely be absorbed by the radiative capture (n, y) reaction and release high-energy photons (1-10 MeV). These photons then produce ion pairs as described in Section 13.7.2. 51 ,en—abs is also written as ,en or ,abs and referred to as the true absorption coefficient. 52As a light element, boron meets the first criterion, but it has a large absorption cross section for thermal neutrons and is a neutron "poison." It can, therefore, be used to control nuclear power reactors. Other stable nuclides with high absorption cross sections for the absorption of thermal neutrons include 113Cd and several isotopes of samarium, europium, and gadolinium. 53It is customary to assign to a thermal neutron the energy 0.025 eV corresponding to the most probable speed (2200 m/s), that is, kT at 293 K, in tabulations of neutron cross sections. Attenuation of a collimated beam of fast neutrons by passage through matter is essentially exponential. The absorption coefficient is determined by the energy of the neutrons and by the energy-dependent cross sections for both the scattering and the absorption of neutrons by each isotope of each element in the absorbing medium. The number of neutrons passing through a unit area of a material per second, called the flux is equal to the product of the number density n (neutrons per unit volume), in the material multiplied by the speed v of the neutrons.54 The fluence, of neutrons is the integrated flux, that is, the flux integrated over the time of irradiation. Neutron shielding calculations are complex and beyond the scope of this text. As mentioned earlier, the important quantity in determining the effects (e.g., chemical and biological) produced by ionizing radiation when it interacts with an absorbing medium is the energy absorbed. This is the linear energy transfer (LET or L) defined as dE/dx: that is, the energy dE that is deposited and retained within an increment dx along the path of a charged particle in an absorbing medium. LET, which is related to specific ionization, is commonly expressed in units of kiloelectron-volts per micrometer (keV/^m). The SI units are joules per meter (J/m). ^Path length of protons and a particles in water (or tissue) is negligible at very low energies. ejected from atoms or molecules when the photons are absorbed by the photoelectric interaction or pair production or are scattered in a Compton interaction. The LET of a charged particle increases with increasing probability of interaction as the particle slows down. Neutrons have an LET that is associated with the ways in which they indirectly cause ionization. High-energy neutrons, which can eject protons from absorber nuclei, have an LET of about 50 keV/^m. Low-energy neutrons release photons in the absorber by the (n,7) reaction and have the LET of photons and electrons. Ionizing radiation from sources that are external or internal to the body resembles a double-edged sword. It can damage or destroy healthy tissue, producing a variety of undesirable effects including cancer; but it can also be used to destroy malignant tissue. As a carcinogen, ionizing radiation produces effects that are like those produced by other carcinogens. There are two modes of interaction by which ionizing radiation transfers energy to a biological cell. One is by a "direct hit" that causes damage (electronic excitation or ionization) to the constituent complex organic molecules (e.g., DNA) in a cell. When direct interaction occurs, so much energy is transferred to a molecule that bond dissociation energies are exceeded, cova-lent bonds are broken, and ions and organic radicals are formed. The molecules may be fragmented or they may be structurally altered to only a small degree and may still be functional. Among the many types of chemical damage that DNA can suffer are deamination, single-strand breaks, double-strand breaks, and protein-DNA cross-links.56 At a low dose, or at a low dose rate relative to a high dose or high dose rate, it is less likely that a molecule will suffer more than one direct hit. It then becomes more probable that damage to the cell will be repaired by natural repair mechanisms, permitting the cell to recover. Dose and dose rate are discussed in Sections 13.10.2 and 13.12. 55The effects of ionizing radiation on water, aqueous solutions, organic compounds, biological cells, polymers, metals, and other materials are covered in detail in books on radiation chemistry. Thousands of breaks (lesions) in the DNA in a human cell are caused every day by natural physical (thermal) and chemical (oxidative) processes. The few that are not removed by the DNA repair mechanisms can lead to mutagenic and carcinogenic effects. it is more likely to de-excite by collision with nearby water molecules. Another symbol for the hydrated electron is H2O=.